It's been a really long time since I read a historical fiction novel. I really enjoyed them in the past, but for some reason I just haven't picked on up in a while. 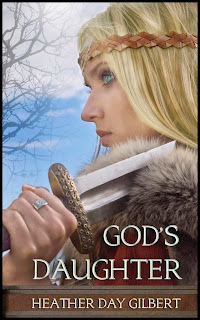 I was so excited when my friend Heather Day Gilbert told me about her historical novel, God's Daughter, and offered me a chance to read an advance copy of it. I can sum it up in one word: WOW! 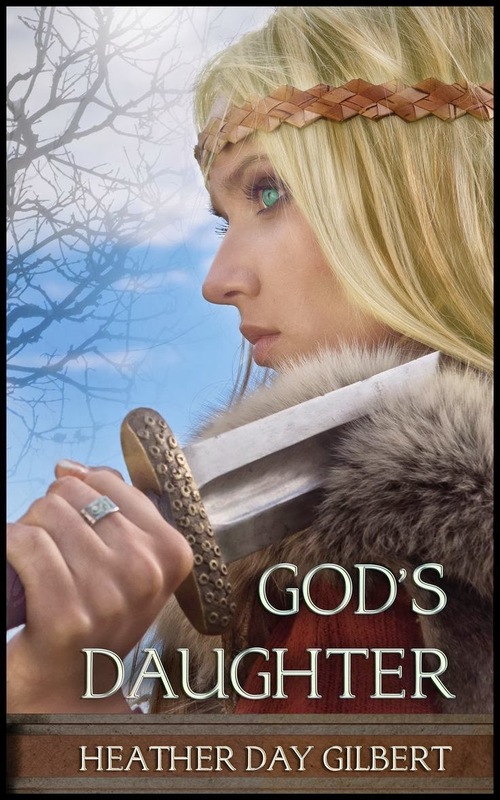 God's Daughter tells the story of Gudrid, daughter-in-law of Eirik the Red, the first documented European woman to have a child in North America - and one of the first Christians among the Vikings. Gudrid, already twice widowed, finds herself struggling in her marriage, homesick and struggling to adjust to her life in the New World. Her character is so real. She's honest in her struggles, and so easy to relate to as she tries to follow her faith in a society that is just beginning to learn about Christianity. It's not just Gudrid - all of the characters are fantastic. I honestly couldn't put this book down. I found myself getting so wrapped up in the story, in the lives of the characters. I stayed up late to read just a little more and finished it in just three days. I cannot wait for the second book in this series! Heather has made my love historical fiction again. You can find out more about Heather on her blog and more about the book on Goodreads. God's Daughter will release THIS FRIDAY on Amazon. Grab a copy as soon as you can - you don't want to miss this book! Failure. Somedays I think the word should be scrawled across my forehead for the world to see, so they'll know what they're getting into. A few others could go with it, maybe in smaller print under the main theme. Loser. Not good enough. Mistake. If there were remedial courses for faith, I'm pretty sure I would be enrolled. I would be that student who shows up semester after semester, trying but never really getting the hang of things. I would be the person the teacher looks at and thinks, "Really? You again? Why don't you just quit - you'll never get this right anyway." I try to be a good Christian. I try really hard, but it doesn't always work. I brush aside my time with God in favor of other, less important things. I lose my temper. I complain. I let bitterness or discontentment take root. I battle the same sins over and over again, and too often, I lose badly. Time after time, I go to God, asking for His forgiveness - again. I hurt Him. I disobey Him. I promise Him I'll do better next time - but when the next time comes around, I mess it up again. It should be enough to make God turn His back and walk away from me. But He doesn't. For reasons I can never understand, He loves me. He loves me when I can't even love myself. When I call, He runs to save me. He picks me up when I fall down. He pours undeserved grace into my life. How can He love me like that? He's the God who created the universe. The God of Abraham, Isaac, and Jacob. The God who parted the Red Sea and raised the dead. But you know what really amazes me? He's MY God. He holds MY world. He created it all - yet He cares about tiny, insignificant me, one woman in a sea of billions. He knows every detail of my life, every hair on my head, every mistake I've made, and He still loves me. It's not just love. It's extravagant love, a love that would do anything, a love that gave everything He had to redeem me. 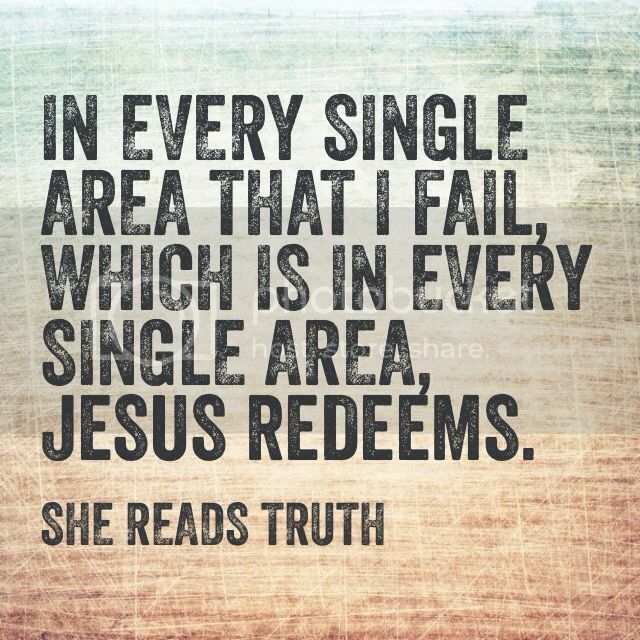 God doesn't see me as a remedial student or a failure. I'm a slow learner, but He's a patient teacher. And when He looks at me, He doesn't see a mistake - He sees His daughter. He sees me with fresh mercy, even when I don't deserve it.